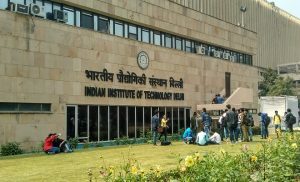 IIT-Delhi will also introduce topics on standardisation in its academic courses for which Bureau of Indian Standards (BIS) will provide inputs. The Bureau of Indian Standards (BIS) and the Indian Institute of Technology, Delhi have signed a Memorandum of Understanding (MoU) to collaborate in the field of standardisation and conformity assessment. Both institutes have also agreed to set up a Centre of Excellence in the field of standardization, testing and conformity assessment at IIT-Delhi campus. As per the agreement, IIT Delhi will provide infrastructure support for research and development projects of relevance to standardisation and BIS will provide financial support to IIT Delhi for projects. What can be expected from the MoU? Initially, the MoU will remain in force for a period of five years and can be extended further. As per the MoU, both the institutions will jointly organise training and short-term education programmes on standardisation and conformity assessment, besides exploring the possibility of hiring of IIT Delhi faculty as consultants on secondment basis. IIT-Delhi will also introduce topics on standardisation in its academic courses for which BIS will provide inputs. Teaching modules will be based on the concept of Standardization & Conformity Assessment, according to the official release. Speaking at the MoU-signing ceremony, Rao underscored the importance of involving youngsters in standardization and discussed various possibilities of incorporating standardisation in the academic curriculum of IIT, Delhi. Rajan underlined the importance of standards in ensuring data security, especially in the financial field. She also emphasized the need for active involvement of technical institutes such as IITs in elevating India’s position from ‘standard takers’ to ‘standard makers’.